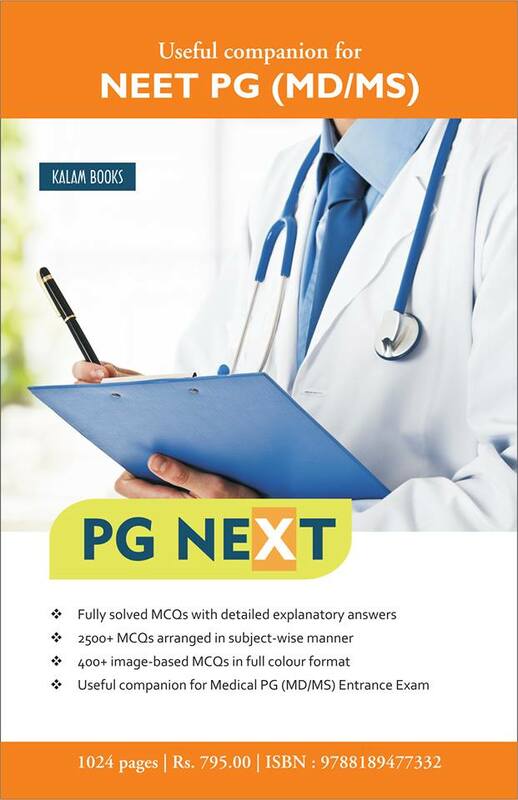 Kalam Books has come out with a new book titled ‘PG NEXT” for the NEET-PG aspirants. The book contains more than 2500 MCQs arranged in subject-wise manner covering all the subjects of undergraduate medical curricula. The questions are arranged in subject-wise manner so that students who want to check their preparation in a particular subject can do so easily. The MCQs have been chosen carefully based on the latest NEET / AIPGMEE pattern, so as to acquaint the readers with the type of questions likely to be asked in the forthcoming NEET-PG exam. Detailed explanatory answers have been provided for each and every MCQ asked in the question section. References from the latest editions of the standard textbooks have been provided for in-depth learning. Numerous tables, flow-charts, diagrams and mnemonics have been incorporated at appropriate places making the process of learning easy for students. 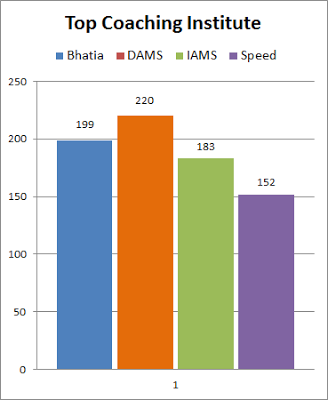 Emphasis has been given on grasping the basic concept behind the questions instead of rote learning. A cardinal feature of this book is the inclusion of 400-plus image based questions similar to what candidates have faced in the actual examination. With the introduction of image based questions in NEET –PG and also in AIIMS examinations, the preparation strategy has underwent a sea change. The few guide books available in the market are unreliable and often fall short of the students expectations. This book fills the void of a reliable book containing the latest NEET/DNB pattern questions, as it has been prepared by a group of experts who are renowned in their respective fields and are associated with mentoring medical PG aspirants for a long time, whose feedback have been incorporated in this book. In short, this is the ultimate indispensable tool for NEET-PG, which takes your preparation to the next level. The publishers have taken care to keep the book available on online e-commerce platforms so that students from remote locations can buy it easily.